convenient daytime and evening appointments. Please read our billing policies for details. Specialty treatments Pelvic Floor, TMJ, Vertigo, Sport massage, IMS and Acupuncture. Post-Graduate therapist training and certifications. New: Naturopathic Services now available! 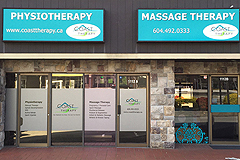 Coast Therapy is an award-winning clinic and leader in Coquitlam Physiotherapy, Massage Therapy , Chiropractic and Naturopathic Medicine for over 20 years. Our primary goal is to help you live your most active, healthy life possible, regardless of your current fitness level or medical condition. We understand that each individual has specific needs and requires specialized treatment. Our Physiotherapists (PT), Registered Massage Therapists (RMT), Chirpopractors(DC) and Naturopaths(ND) are dedicated to providing a personalized treatment program focused on returning you to an optimal level of function as quickly and safely as possible. At Coast Therapy we are dedicated not only to relieving your symptoms of pain & dysfunction, but also identifying and treating the underlying cause. We will keep you informed not only of what we are doing for treatment, but why we are doing it. 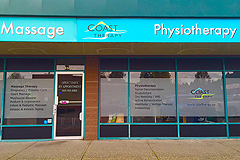 Our PoCo & Coquitlam Registered Clinicians are experts in their field and provide advanced, evidence-informed treatment including massage therapy, myofascial release, trigger point therapy, spinal manipulation, acupuncture, active rehabilitation, sports physiotherapy, as well as general wellness & preventive care. 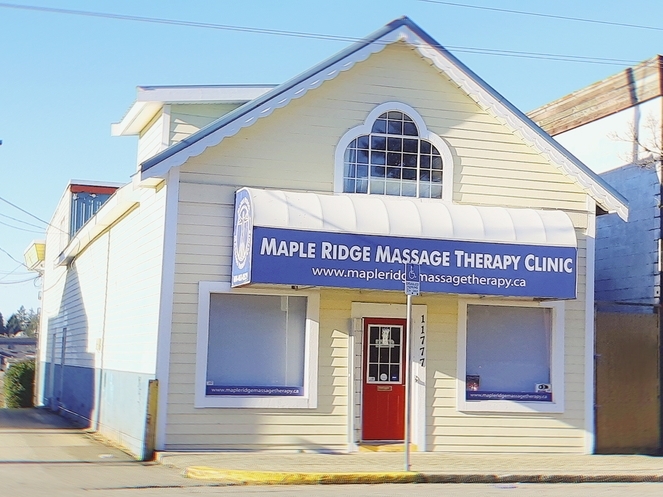 We commit to providing outstanding massage therapy and physiotherapy services to Port Coquitlam, Coquitlam, Port Moody, Pitt Meadows, Maple Ridge and the surrounding communities. We are open 7 days a week and provide convenient daytime and evening appointments.